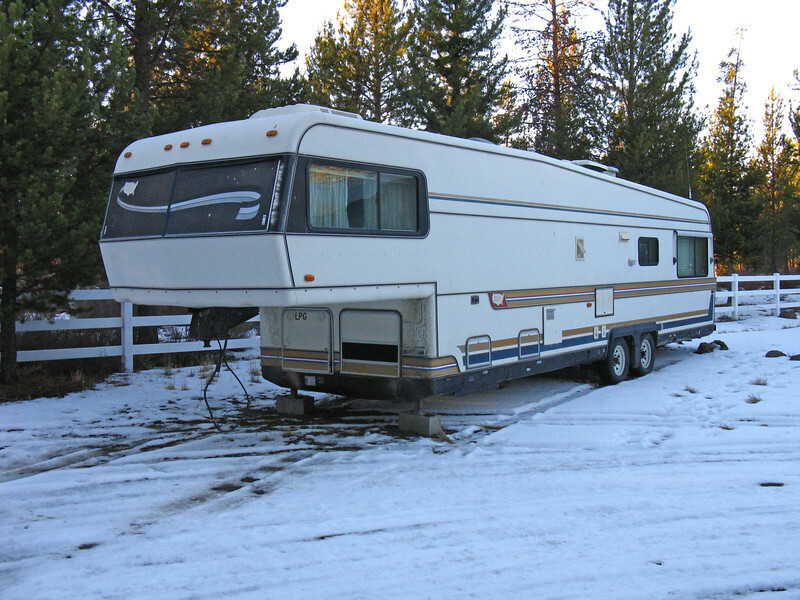 This is my 36' Holiday Rambler Imperial 5th Wheel. I picked it up for $1500 in Klamath Falls, OR. The exterior and the structure are in very good condition, although the awning and part of the roof ladder are missing. The interior needs a LOT of work.